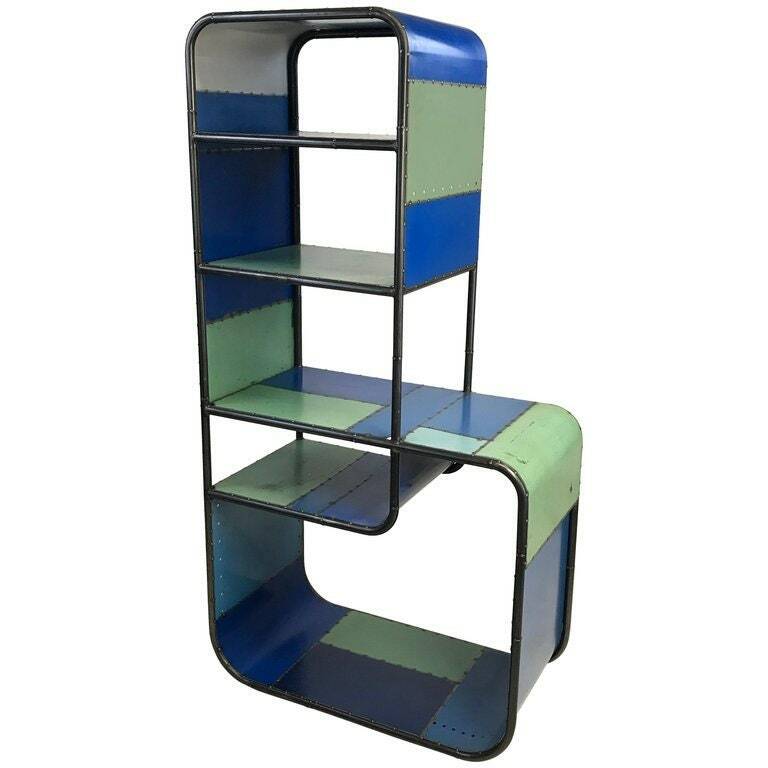 Curvaceous bookcase or shelving unit with strong blue and green colorations. Hand fabricated from reclaimed steel by Midwestern artist. Two-piece construction for ease of shipping and moving. Offered in a limited edition. H 66 in. x W 34 in. x D 18 in.